WIN a SmartPhone with a free 3-month phone plan! We have a winner! (Sorry for the delay in announcing it). The HTC SmartPhone and 3-month Mobilicity Talk & Text plan goes to…. Comment # 16, Laura! Congratulations, Laura. Please use your phone for the good of mankind. Mobilicity gave me an HTC Snap SmartPhone to give away! 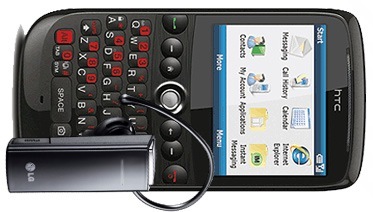 The recipient gets the phone to keep, as well as a 3-month Mobilicity Unlimited Talk & Text contract. Your phone may, or may not, appear to be sideways when it arrives at your house. If it is, just rotate it, ya dingus! How do you win this phone? that you might regret later. (It can be funny, sweet, embarrassing, or whatever; just keep it clean). Make sure your comment includes a valid email address, which will be confidential and only visible to me. It’s fine by me if you enter with the intention of giving this phone as a gift- I’m sure some of your parents or luddite friends could use a cool SmartPhone, so go ahead and try to win this one for them. As long as it ultimately goes to an adult who lives in Canada (excluding Quebec), it’s fine. You may enter up to twice per email address. I’ll pick the winner on the afternoon of January 3. The free 3-month plan includes local calling, texts, picture messaging, in-province long distance, voicemail, caller ID, call waiting, 3-way calling, and call forwarding. You do not have to sign a contract with Mobilicity; at the end of the 3 months you can choose to continue the plan, or it will be terminated. The phone is yours to keep either way (it’s worth about $175). This contest is open to Canadian residents (except Quebec, desolée!) who are over 18. I don’t think there’s any tricky stuff attached- the company who’s managing this promotion is great. Email me if you have questions. Remember, you can enter TWICE per email address. My friend Lisa Pijuan-Nomura is an amazing multidisciplinary artist working in theatre, dance, comedy, puppeteering, images, and text. 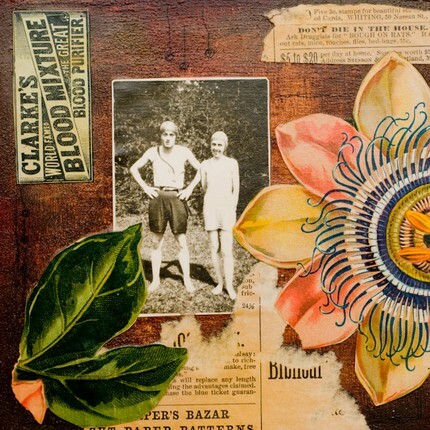 Recently Lisa started making visual art as well- lovely collage pieces using found paper, objects and ephemera. You can WIN one of Lisa’s 8.5×11 inch prints! 1. Browse the Girl Can Create Etsy shop. 2. Choose which print you’d like to win. I’ll use a randomizer to pick the winner on Sunday at midnight, then we’ll arrange for Lisa to mail you your print. This contest is open to everyone, worldwide. Lisa was the brain behind Toronto’s popular RED performance series, and long ago when I’d never written anything except high school essays, she pretty much forced me into performing my own writing in front of a live audience for the very first time at one of her events. That peer-pressured little excerpt eventually became my solo show “Better Parts” and the cracktastic feeling of people laughing at my writing turned me into a monster. I owe her big-time… thanks, Lisa! Winner is comment # 1, Noelle Hunt. Congrats, Noelle, and thanks to everyone who entered! This is “Fix”, by Jean-Paul De Roover, video shot by Shannon Lepere. I like this video and its slightly creepy use of over 600 band-aids. You can win a copy of Jean-Paul De Roover’s new CD/DVD album. 2. Leave a comment on this post, saying why you like the video or the song. That comment is your ballot into the draw. 3. For bonus points, become Jean-Paul’s fan on Facebook and leave a second comment on this blog to let me know you Facebooked him. That comment will count as your second entry into the draw. Here’s the link to his Facebook fan page. Contest closes at midnight on Friday December 4. That’s it! So easy! I’ll use a randomizer to pick the winning entry this Saturday December 5. I’ll email the winner to get your mailing address (we can only mail this to a North American address, sorry overseas people! ), then Jean-Paul will mail you your awesome free CD/DVD. The packaging folds out into a house, how full of WIN is that? 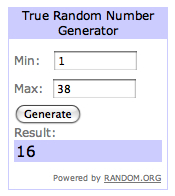 Winner is comment # 16, Bryan Cesar. You are currently browsing the archives for the WIN! category.